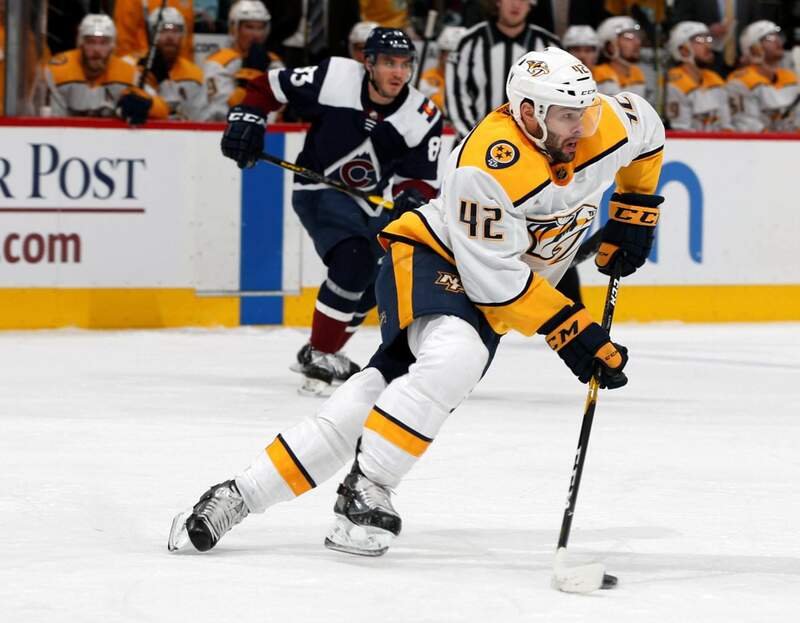 Nashville Predators center Colin Blackwell, front, picks up the puck as Colorado Avalanche left wing Matt Nieto pursues in the first period of Monday’s game in Denver. 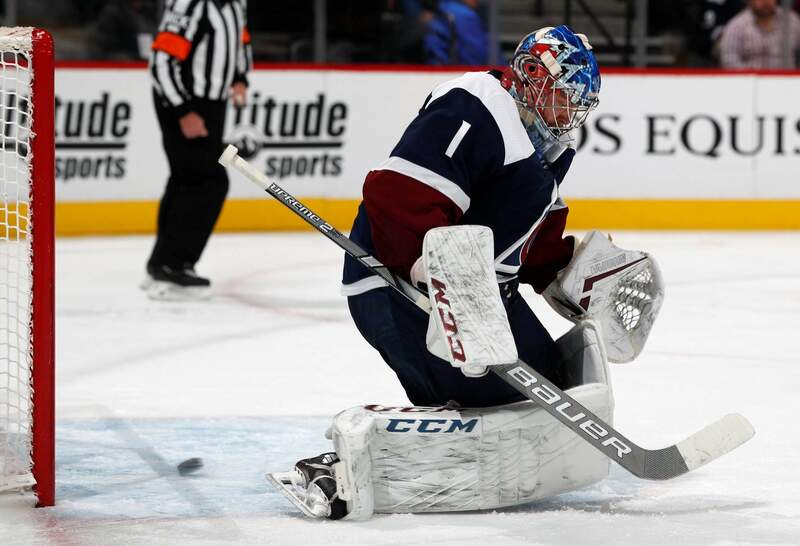 Colorado Avalanche goaltender Semyon Varlamov reacts after allowing a shot off the stick of Nashville Predators center Nick Bonino to go into the net for a goal in the second period of Monday’s game in Denver. 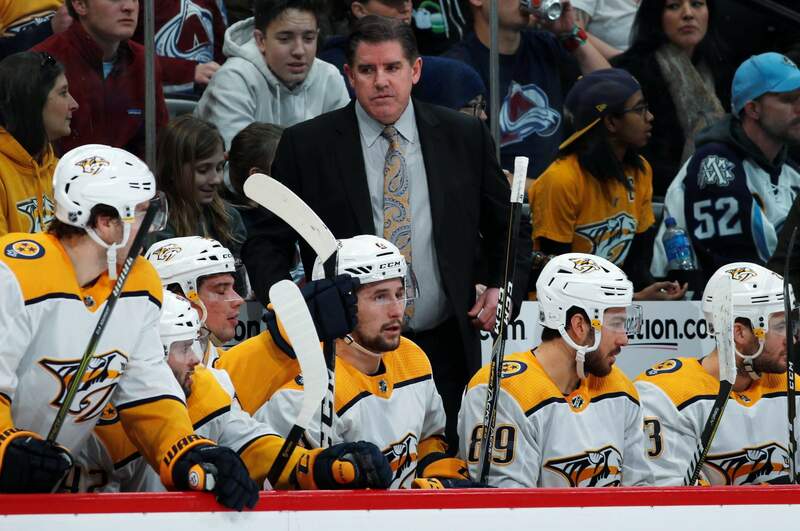 Nashville Predators head coach Peter Laviolette, back, directs his players in the second period of Monday’s game against the Colorado Avalanche in Denver. 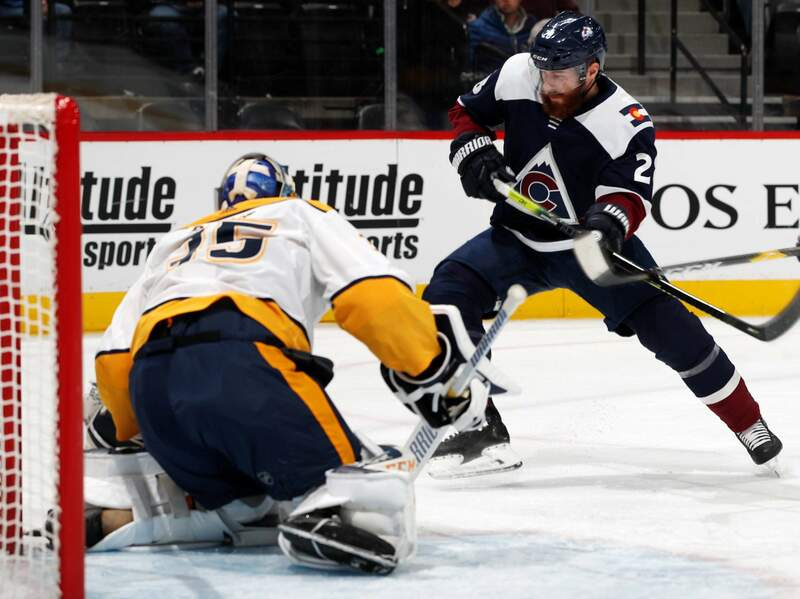 Colorado Avalanche defenseman Ian Cole, right, pursues the puck after a save by Nashville Predators goaltender Pekka Rinne in the first period of Monday’s game in Denver. 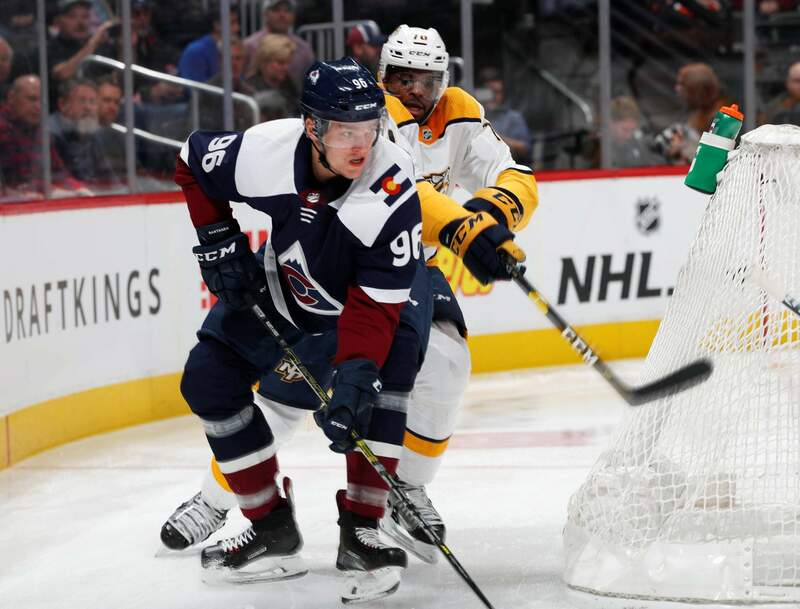 Colorado Avalanche right wing Mikko Rantanen, front, tries to maneuver around the net with the puck as Nashville Predators defenseman P.K. Subban covers in the first period of Monday’s game in Denver. DENVER – Peter Laviolette and his goaltender had a lot in common – both were skillful in the art of deflecting. “(Rinne) was ready – cool, calm, collected – and made a good save,” Bonino said. UP NEXTPredators: The second of a three-game trip will be Wednesday in Las Vegas against the Golden Knights.